Portrait of the Marquis of Pombal, owned by the Museu Nacional de Soares dos Reis. 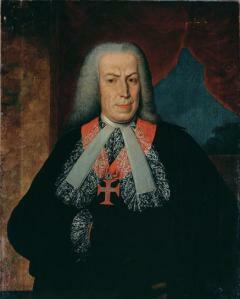 In 1759, the Prime Minister of Portugal, Sebastião José de Carvalho e Melo (later the Marquis of Pombal), convinced his king to expel the Jesuits. Carvalho justified his actions through continued attacks on the Jesuits in a string of French publications, printed in Paris. Meanwhile, half a world away on the Caribbean island of Martinique, a French Jesuit named Père Antoine La Valette faced mounting debts, his investments lost in the ongoing Seven Years War. As La Valette’s financial struggles became an increasingly public problem, a desperate struggle ensued over the reputation the Jesuit Order.